Do you love a good Twitter Party? You know we do and we’re excited to host a party about great ways to bring balance back to our lives after a busy holiday season! On Tuesday, January 20 at 3pm EST, please join us for the #BackToBalance Twitter Party where we’ll be discussing tips to bring back balance and giving you a chance to win prizes! The holidays are a blast but wow, it is such a busy time of year. It’s so easy to get off track. Family schedules, fitness goals, and wellness plans all got out of whack around here! It’s time to get back on track! 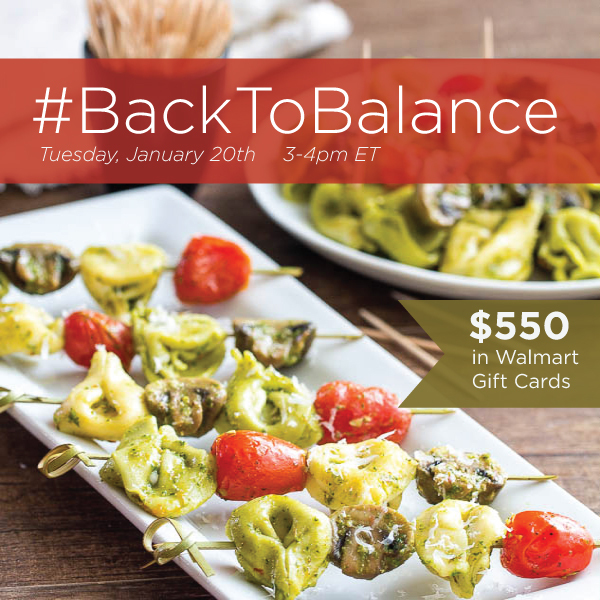 Join us for Tuesday’s #BackToBalance Twitter Party to discuss tips to bring back the balance to our lives. Join Us for the #NorthPoleFun Twitter Party!